THAT’S NICE….BUT IS THIS THE WORTH FOR 900$ WITH ROOMATES……. For this apartment (well, the room, plus a dingy bathroom and a kitchen that was basically a hallway with appliances in it) I paid $815. 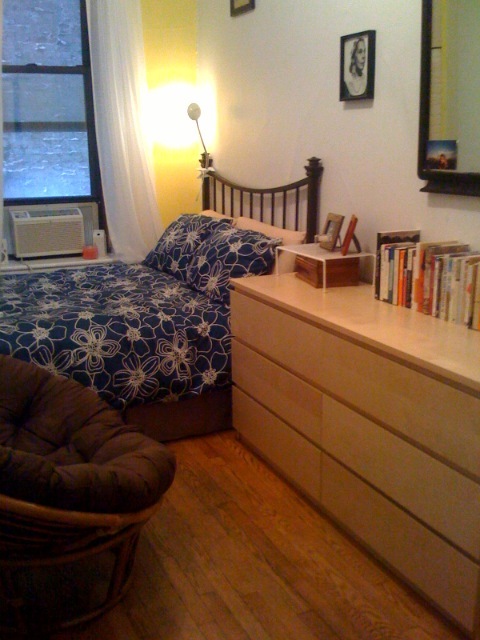 A steal considering it was 10 minutes from my office/Midtown and walking distance to Grammercy, East Village, etc. I highly recommend living in a small, less-than-ideal apartment. After all, you’re in NYC…. Spend your money on EXPERIENCES!